Michigan manufacturing means a lot to us at The Wallside Windows Factory. We built our family-owned and operated business on manufacturing and we support others who chose to do the same. With strong ties to metro Detroit, automotive employees have always been Wallside customers, too. Every spring since 2012, UAW workers have received bonus checks and the ability to cash in on profit-sharing payments. Planning for those finances might mean anything from buying a new car to paying off bills or investing in your home. From your factory to The Factory, Wallside Windows serves automotive employees when it comes to installing new windows at home. Those looking to spend profit sharing or bonus payments with another hardworking Michigan-made business can confidently look to us at Wallside Windows. Our experts are pleased to help you determine whether it’s time for new replacement windows. During our busiest seasons, Wallside Windows staff produces up to 700 high-quality vinyl replacement windows every day. Our windows are each custom-made using the latest technology. Because we’re dedicated to quality products and services, all of our windows are backed by Wallside’s well-known 35-year guarantee. Buying new windows might be the easiest investment you can make in your own home. If you’re looking to upgrade your home with new custom vinyl windows, or have questions about the process, Wallside’s staff is here to help. 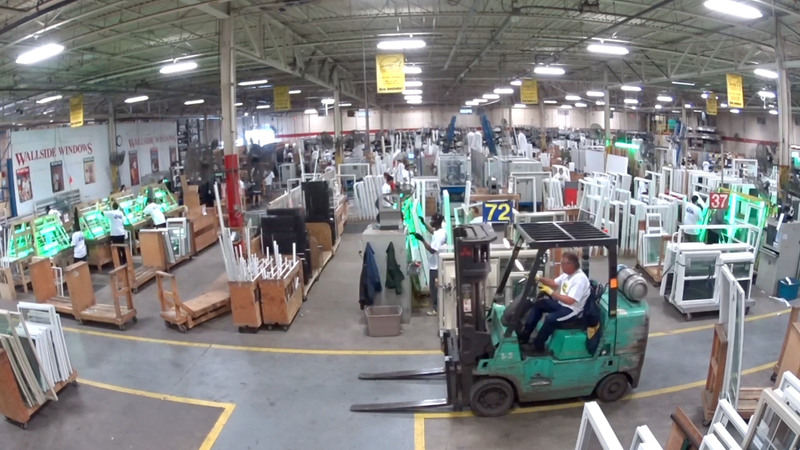 Wallside Windows are made right here in our Taylor, Michigan factory. We’re manufacturers, too. Come see The Factory for yourself. We schedule free tours that offer a peek inside our Wallside Windows Factory. We’re proud to show how we’ve grown our longstanding business, what it takes to maintain a happy workforce here and just what’s behind our custom products that keeps customers coming back when its time for new replacement windows. Interested in investing your bonus to upgrade old windows with Wallside Windows? Visit wallsidewindows.com/estimate or call 1-800-521-7800 to schedule a free estimate today.